What is Startup Disk Full on Mac OS? What is startup disk full? How to find what's causing startup disk full? How to fix startup disk full? How do I prevent startup disk full in the future? However, we also understand that some people are short on time and just want to fix startup disk full. So, if you’re not really interested in what it is and why it happens, just skip the next two sections and head to “How to Clean Your Startup Disk”. Or, even better, if you’d like an automatic, long-term solution that’ll keep your startup disk clean, we’d highly recommend a utility called CleanMyMac X. It'll help you clean up gigabytes of disk space in just minutes (you can download it here). Note: if you’re running macOS Sierra (or higher), it has a built-in option of Optimized Storage that is supposed to solve the problem of the full hard drive by moving files into the cloud. That's why when your disk gets full on Sierra you see a different message. By clicking "Manage" you can open the menu and see what Optimized storage offers. However, it moves junk and useless files to the cloud together with your files, and eventually you end up paying for iCloud storage to store junk. So we still recommend getting CleanMyMac and actually dealing with extra files rather than simply moving them. Now, with all that said, let’s get into what exactly “startup disk full” means. What is a startup disk? A startup disk, as taken from Apple Support article, is a volume or partition of a drive that contains a usable operating system. Still confused? Let’s break it down for you. Your Mac hard drive consists of disks (or partitions). Each disk (or partition) has your Mac data on it, which consists of your operating system, applications, etc. Most Mac users have just one disk but power users may have two or more. Your Mac's hard drive is 500GB. It has one "disk" on it, so all 500GB of storage is on that disk. The disk has an operating system (OS X El Capitan), and user data (apps, etc). And since you only have one disk, this is your startup disk: all 500GB. A Mac with two disks will have the storage divided between them. The Mac drive with the OS on it is the startup disk while the other drive is just used for storage of files. It’s possible to have multiple startup disks, but most Macs will only have one. Why is your startup disk full? This is easy. It’s a lot like why is your fridge full? There is no more space! Your startup disk is almost full and this is very bad news for any drive. A hard disk should never get beyond 85% capacity (especially a startup disk) as you will experience slowness and errors the further you get above that mark. If your startup disk is full and you get a message of warning from your Mac, this is a serious indication that you need to free up storage immediately. What to do when your startup disk is full? Delete files from your Mac. Move files to an external hard drive or cloud storage. Or install a second internal hard drive on your Mac. So, now that we know what a startup disk is, we need to talk about how to fix it. Let’s take a closer look at your disk space to see exactly what is causing your startup disk to be so full. What’s Causing Startup Disk Full? Short version: Take a look under-the-hood of your Mac. 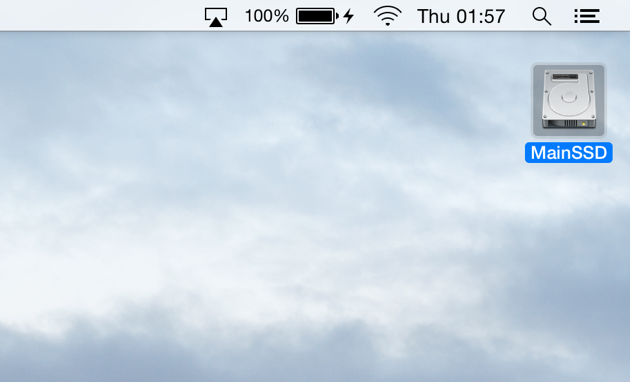 Hover on the Dock at the bottom of your screen and open Finder. Click on “Finder” in the menu bar at the top of your screen. In the window that opens, checkmark the “Hard disks” checkbox. These are disks on your Mac that you can “startup”, this is because they have operating systems (like macOS High Sierra) on them. If there is more than one of these hard disk icons that show up on your desktop, it means you’ve got multiple hard disks on your Mac. If you only have one, skip the down to “What is taking up all of my startup disk space?” section. Click on the Apple icon at the top left of your screen System Preferences > Startup Disk. Here, again, you’ll find your hard disk(s); they’re probably named something like MainSSD or MainHD. It will also display “OS” and the version number of that OS. If you have more than one OS drive, your startup disk should be the one with the latest version of macOS running on it, but we’re going to make sure of that in the next step. Click on the Apple Icon in the menu at the top-left of your screen. See how my version number in the “About This Mac” window matches the number in my Startup Disk section? Yep — That’s my startup disk. Found yours? Good. What is taking up all of my startup disk space? Note: If you are running an older version of OS X you may have to first click “More Info…” and then “Storage”. I’ve got 500GB of storage, and about 275GB of it is free space. So, how big is your hard disk? How much free space do you have (if any — *gulp*)? And what’s taking up the most space? It is important to consider drive capacity and data storage needs for future storage plans — we’re not just here to fix the problem for now, we’re going to make sure you never have this problem in the future as well. 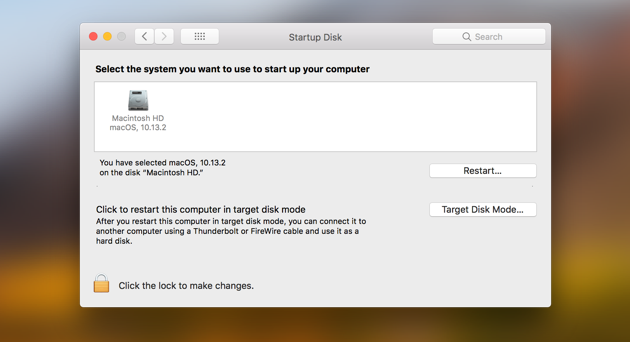 Now that we have the knowledge, it’s time to take action and fix your Mac’s “Startup Disk Full” problem. Let’s go over 10 things you can do to help fix startup disk full. These should also give you other ideas as to how else to fix it — You know your Mac better than we do! Delete the files/folders that are taking up the most space. And, again, delete the folders that take up the most space. Deleting cache files is generally safe for your Mac. And once you delete them, the applications and processes you run on your Mac will generate fresh, new ones. But, when deleting, worry more about removing them based on size rather than just removing all of them. Oh, and once you’re done with this list, restart your Mac so it can create these new cache files. Read more: How to Clear Cache on a Mac? From here, go to Contents > Resources and look for files ending in .lproj. These are the languages your app has just in case you want to use it in another language, like Spanish (es.lproj). Drag the ones you’ll never use to the Trash. Again, a safer alternative to this would be to use CleanMyMac X. It gets rid of all of them with a click. No digging through application folders, just a cleaner Mac. Read more: How to Delete Language Files from macOS? Clicking “Go” in the menu bar at the top-left of your screen. They’re all dated, just delete the old ones you don’t need anymore. Clicking “Go” in the menu bar. Get rid of all the old, outdated backups your Mac has been storing for a bit more extra space. Selecting “Go” in the menu bar. Delete downloaded files for any of the devices that you are not using any more, or ones which software just already updated. Remember that after any of your devices have been updated, you don’t need those files. Read more: How to Delete iOS Software Updates from Mac? This isn’t often overlooked, but definitely under appreciated. Removing old, unused applications is a great way to get some extra space on your startup disk. Go through your applications folder and get rid of all the apps you rarely use. But make sure you remove them correctly, don’t just drag them to the Trash. If you do, you’ll leave behind tons of leftover parts and pieces, and we’re trying to get back startup disk space — It’ll kinda defeat the purpose, no? This is another place we’d suggest using CleanMyMac X. 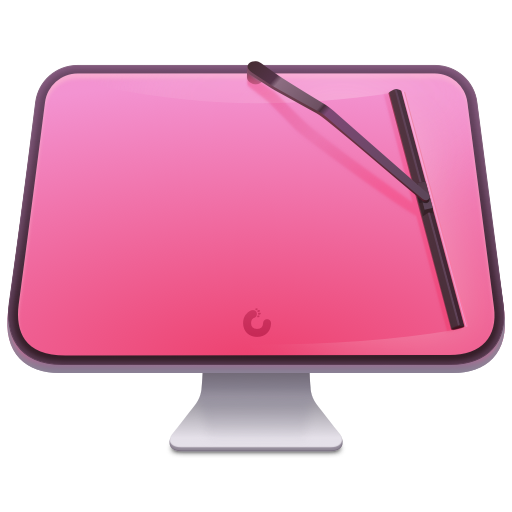 To completely remove any application, just launch CleanMyMac 3, click Uninstaller, select your application, and then click Uninstall. You won’t have to search all over for development junk that’s left behind when Trash’ing an application. It’s incredibly easy and saves you tons of time. Photos, photos, photos. Talk about tons of space! First and foremost, select only what you can get rid of, like image copies and maybe some photos that were mistakenly taken. You know, ones of the ground or something? Ok, once your own files are taken care of, it’s time to get rid of the files your system created. In Photos for Mac, it’s cache files. In iPhoto, it’s service copies. Both are a pain to find, but here’s how you can get rid of them. Open Finder and navigate to your Photos library (normally, it’s in the Pictures folder). Open resources, and then modelresource. You should now see a lot more folders in your Finder window. Photos cache sits in these folders, but the tricky thing is that it’s really hard to say what is safe to remove and what isn’t. Deleting the wrong file can compromise the performance of Photos, which is why we highly suggest you use CleanMyMac X to clear the cache. It only removes files that are safe to delete, never a critical file or important image. You can download CleanMyMac X for free and see how it works, it’s so much safer than cleaning up cache manually. Now, if you’re still using iPhoto, you need to locate the service copies it creates whenever you alter an image. To do that, repeat steps 1 and 2, described above. Then go through the Master, Modified, Original, and Preview folders to check which photos have original copies that have been altered. It’s tough to point you in a direction as to how to do this because iPhoto works in mysterious ways. Where it stores them and which photos are copies is completely up to you, your memory, and your eyes. Warning: if you remove the wrong/critical files or important photos, we are not to be held responsible. This section is advice on how to go about it for people who need more space. And again, this entire step is faster and safer with CleanMyMac X, because it knows which files are service copies and can be deleted. Have a closer look at these three folders. You’d be surprised at how many downloads can accumulate when you aren’t paying attention. Clean out anything you don’t need (or don’t know) and organize the rest. It’ll take a load off your mind to know that there’s nothing excess there. The Movies folder can be a pain, not because you’re searching through tons of files, but it can be difficult to choose what to delete. Personally, I never want to get rid of Top Gun. It’s amazing. I watched it 3 times in a row last weekend. But alas, sometimes you need to make sacrifices for your the health of your Mac. Though, what you can do with movies you want to keep is to archive them. So, archive what you wish to keep and remove the rest. Ctrl+click the file you want to compress (recommended for movie files). The last place to sweep through is the Music folder. Find and remove duplicate music files first, and then clean up all the songs you downloaded on a weird Sunday afternoon cleaning the house. “Clean my desktop… but why?” Because some people’s desktops are hard to look at, that’s why. Organize your desktop and get rid of the stuff you just don’t need on there. 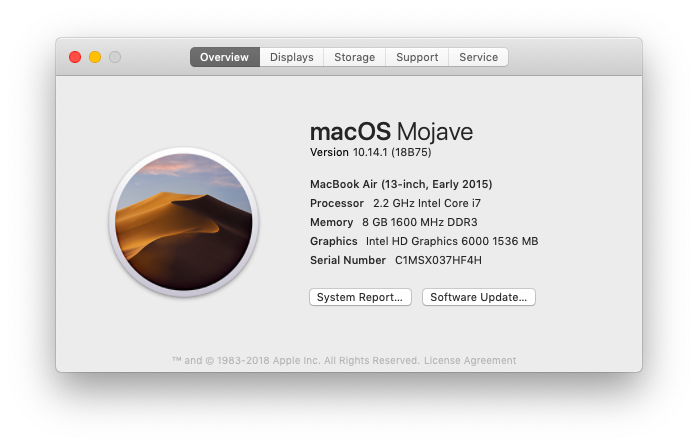 It looks better and helps your Mac act a bit faster (I don’t know the rocket science behind this one, but it feels too good to be false). Your Mac doesn’t waste time loading all those icons and junk, just… Just clean it, please. Ctrl+click your Trash in the the Dock. And, the easiest step is done. 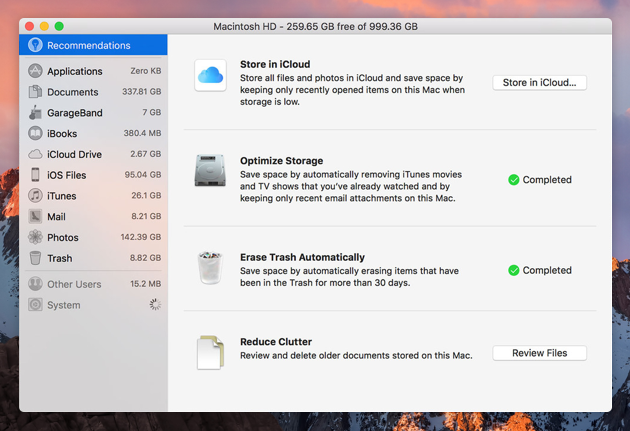 Read more: How to Secure Empty Trash on Mac? Note - If you are running an older version of OS X you may have to first click “More Info…” and then “Storage”. You’ve probably got a bit more space, and you’ll want to keep it that way. The only way to prevent a “full startup disk” is by keeping your Mac clean. We’d recommend a complete cleaning every 2–3 weeks. Now, if that sounds like too much time and energy wasted, we’ve got a utility that’ll help you out a ton in the long run: CleanMyMac X. It helps you clean your entire Mac with just the click of a button. It’s incredibly easy to use and works like a charm. Now, let’s talk about CleanMyMac X and how it can help with preventing a full startup disk, or an almost full startup disk. A Full Startup Disk is no problem with CleanMyMac X. Again, this is an incredible utility when it comes to cleaning your startup disk, which means that your Mac can run faster and avoid that awful “startup disk full” error. 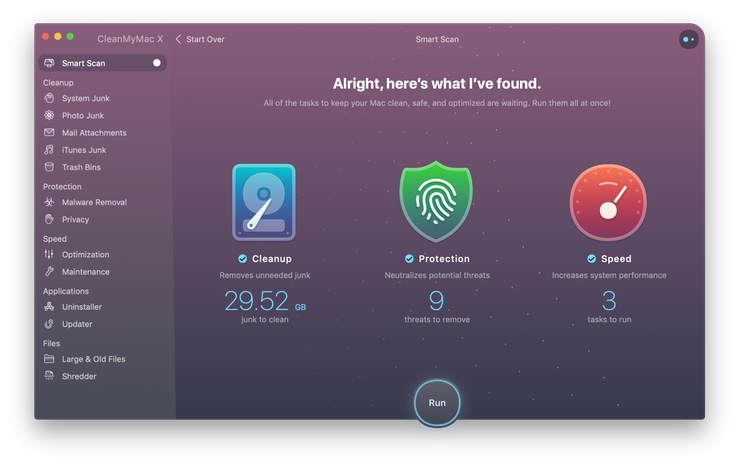 It scans your entire Mac and helps you find gigabytes of junk — And most of it, you wouldn’t even recognize! Download it now to save yourself tons of time cleaning manually. With it’s Smart Scan module, two clicks is all it takes to clean up caches, logs, language packs, binaries, Photo copies, outdated backups, Trashes, and more. It’s a long-term solution for cleaning up your Mac. 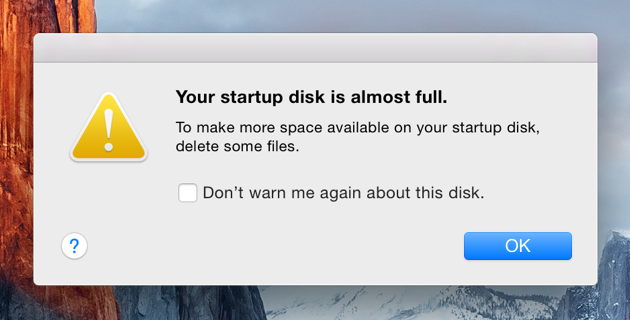 Say goodbye to the "Your startup disk is almost full” message. So, we’ve now covered everything that we wanted to share with you. Hopefully, this has helped you fix that full startup disk problem. Your startup disk should now be quite a bit lighter (we hope). Oh, and if you liked this article, get social with it to help others in need. And if you really liked this article, subscribe to our email list — we’ve got more guides on the way.